The fourteenth Eastbourne beer festival was held at the Winter Garden from the 6th to 8th October, it could well be the last for a while in the current format, as the redevelopment of the Devonshire Park means that the Winter Garden will be closed from October 2017 and that when it reopens a substantial part of the accommodation usually used will no longer exist. The total number of tickets sold was 3837, with Friday and Saturday evenings sold out as usual, but room for people to buy tickets on the door for Saturday lunchtime and Thursday evening. 11882 pints of beer were consumed and 2200 pints of cider and perry, a drop in the former but an increase in the latter. Three awards are voted for by those attending. The Beer of the Festival was Bad Kitty, by Brass Castle, a brewery from Malton in North Yorkshire making its debut at this year’s festival. The Beer of the Festival from a Sussex Microbrewery was Bricks and Porter from Kiln Brewery of Burgess Hill, another brewery making its debut this year. The third award, for the best beer brewed outside Sussex, went to Oakham Brewery for its Green Devil IPA. CAMRA holds an annual Champion Beer of Britain competition. Members nationwide vote for their favourite beers in a number of different categories. When the votes are totalled up, the top beers in each region are tasted by panels of judges at various beer festivals. The top two go through to the next round from where the winners are tasted in the final at The Great British Beer Festival in August. Two categories’ tasting heats were held at Eastbourne, Best Bitters and Speciality / Unusual Beers. The top Best Bitters were West Berkshire Brewery’s, Good Old Boy with joint runners up Sixpenny Brewery’s, 6D Best Bitter and Surrey Hills Brewery’s, Shere Drop in a dead heat. The top Speciality / Unusual Beers were Canterbury Brewers’, Foundry Red Rye and runners up Bingham’s Brewery’s, Vanilla Stout, (Winner of Champion Beer of Britain 2016). 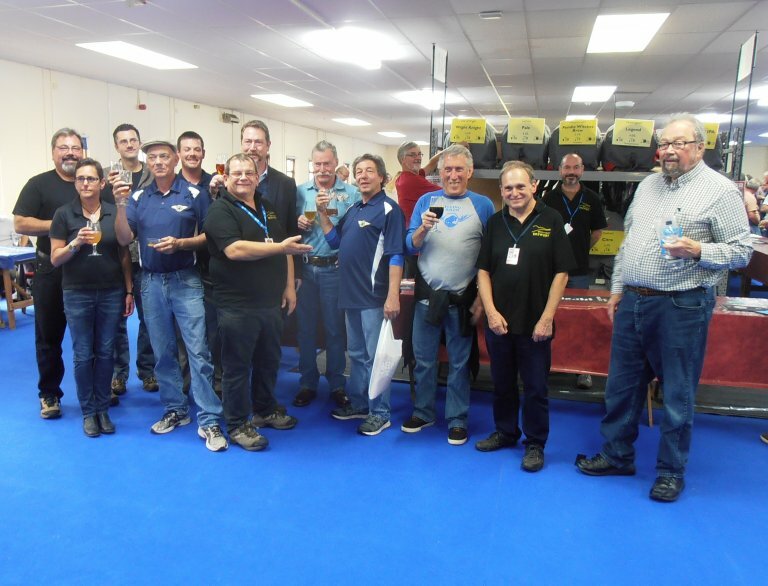 We were surprised and pleased to host a group of American brewers and other interested persons at one of the sessions. They were on a tour of UK breweries and brewpubs and with a gap in their schedule, decided that a visit to our festival would be the best use of their time. Good to report that they declared themselves most satisfied with their decision. The photograph shows the group from America with festival organisers Phil Cozens and Peter Adams. There is a chance that a date for a festival next year in September may become available, before the Winter Garden closes for the redevelopment programme. If not a different venue will mean a different type of festival, likely to be smaller, which will definitely have to happen for 2018.